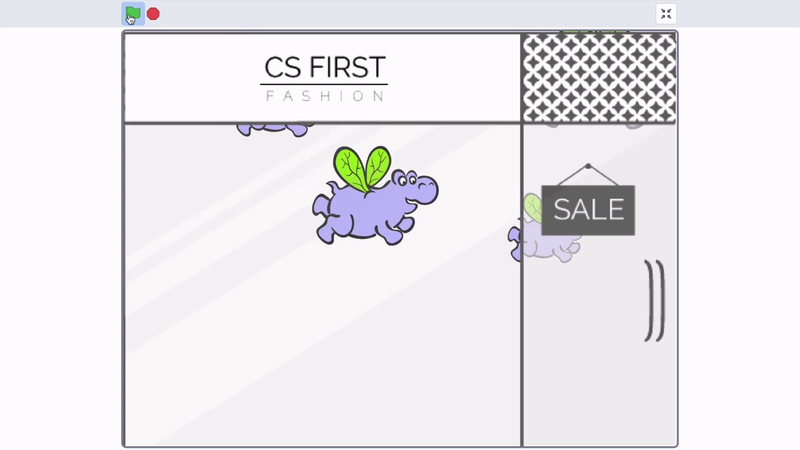 In today's project, you used an important Computer Science concept creating objects or cloning to fill a storefront window with moving sprites. With a small amount of code, you were able to create many sprites with different sizes, speeds and movement which made each cloned sprite unique. Computer Scientists build and program robots to provide physical services to people and companionship. Robots are being programmed with sophisticated voice recognition abilities, so that they can even detect a person's mood by the tone of their voice. Check out this clip about a robot going to space as a companion to astronauts. That's Kirobo, the talking robot Japan is sending to the International Space Station. The pint sized robot gets it's name from the Japanese words for hope and robot. Kirobo speaks Japanese, records conversations, and will play a role in some missions. The scientists say the robot, which can also recognize emotions, will hopefully keep the astronauts company. I wanted to give Kirobo and Mirata, a sense of compassion in their communication with each other. And the ability to listen to the other person. Mirata is Kirobo's robot twin back on planet Earth. Here's what the insightful humanoid had to say. Computer Science creates programs and tools that have a huge impact on our social lives. From the creation of social sites like Twitter and Facebook that bring people together to inventions like Furbies or robots designed for companionship and fun. All of these products require Computer Scientists like you to write the code that makes them work. In the next club session, you'll create code to make your own pattern and envision your pattern as part of products like t-shirts, dresses, and wallpaper. Remember you can always use the Scratch website from any computer that has an internet connection, now or even after this club has ended. Your Scratch username is yours to keep and we at CS First hope that you continue to build awesome Scratch creations.